Ashwagandha, an amazing food to lower anxiety and increase sleep, is known as the ginseng of the East. It is also known by other names like Withania Somnifera, Winter cherry or Indian Ginseng. 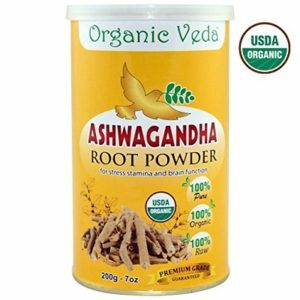 The word ‘Ashwagandha’ is a combination of two Sanskrit words- Ashwa meaning stallion or horse and Gandha meaning fragrance. The root of this flowering herb smells ‘like a horse’ which may be the reason why the herb can impart strength, energy, and vitality like that of a stallion’s. But one of the most important uses of this adaptogenic herb is its mildly sedative quality which aids in stress relief and helps fight sleep related issues like insomnia. Today, I will be reviewing the best ashwagandha sleep tablets and powders available in the market. 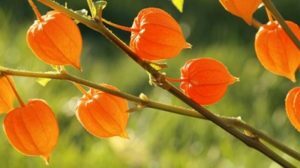 Before we consider the best ashwagandha for anxiety and sleep, let us study its properties and health benefits. 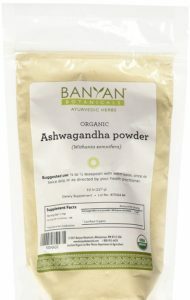 Ashwagandha has been used by traditional Indian herbalists for centuries for a variety of health issues. This Indian Ginseng is ideal for fighting stress and improving vitality and is recommended for people who feel run down or depleted and suffer from anxiety, nervousness, and insomnia. The herb grows extensively in parts of India, the Mediterranean region, and the Middle East. All its parts have medicinal properties including its leaves which are harvested in spring and berries and roots that harvested in autumn. The key constituents of the extracts of Ashwagandha are alkaloids, iron, and steroidal lactones. Chronic stress– Indian scientists have studied Withania Somnifer for its stress relieving properties in a 2012 study. They concluded that people who consumed the extracts of this herbal remedy had lower stress levels, increased levels of well being along with lower blood pressure and cortisol. 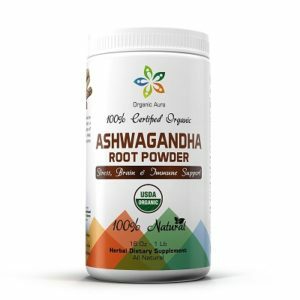 Anxiety and tension– A 2009 study on Ashwagandha conducted over 6 controlled trials showed that Ashwagandha along with dietary changes and certain supplements were much better in controlling anxiety and tension compared to psychotherapy and placebo. Increast stamina and energy – Ashwagandha helps increase stamina and energy. It can promote sexual prowess in men and women as well as muscle strength in bodybuilders, weight watchers, and elderly patients. Its high iron content makes it a suitable tonic for children. Traditionally, it has been used for clarifying the mind, improving memory and focus, strengthening nerves and promoting better sleep. It has restorative, calming, sedative, anti-inflammatory, analgesic, expectorant, nervine and adaptogenic properties. Almost all parts of Ashwagandha plant are useful for stress relief and anxiety. Today, you can buy the dried root, powder, tinctures and pills of this herb from health stores. 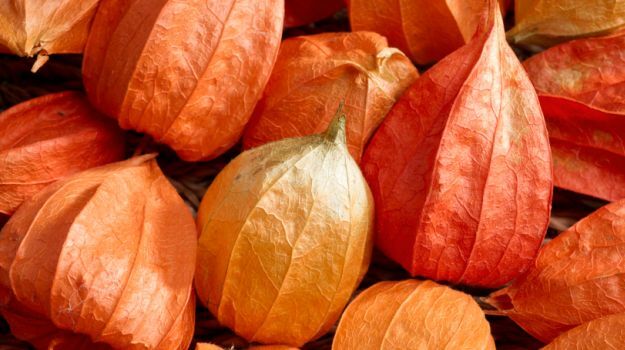 Dried leaves of Ashwagandha have cancer-fighting properties due to their high withanolides content. Its powdered root can be used for teas, decoctions or strengthening and mind-calming tonic. In India, people chew berries to help in convalescence. Decoction – Take the root (5 gram) in powdered form and steep it for 10 minutes in 100 ml of hot water. For stress, take this remedy over a period of 2 days, twice a day. Powder – For anemia, put ½ tsp powdered leaves in a little water every day. Capsules – For nervous exhaustion and anxiety, take tablets containing 1-2 grams with water, per day. “It’s amazing how less upset I get when things happen. It has to be this Ashwagandha”. Hundreds of happy customers have used this product to curb anxiety. Try blending it with dates, nuts, and milk for a healthy snack. Many people have not only seen improved sleep but also increased energy levels. This is a product you can trust as it is made and packaged entirely in the United States under FDA and GMP standards. People taking it have noticed improved sleep and joint health. Add it to smoothies for a nutritional boost since the taste of the product is strong and unappetizing. Very fresh, this is the Ashwagandha to buy for anxiety relief and sleep problems. A part of the company’s profits also goes to charities. 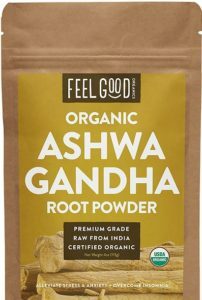 The best part about this USDA certified organic Ashwagandha anxiety relief powder from Feel Good Organics is that it comes in a re-sealable bag. This allows the powder to remain fresh and you need not transfer its contents to another container. It is 100% raw and organic and has no additives or fillers. People have used it for relieving stress, depression, and anxiety and also for preventing degenerative diseases that originate from high-stress levels. This is an award winning product with KSM 66. 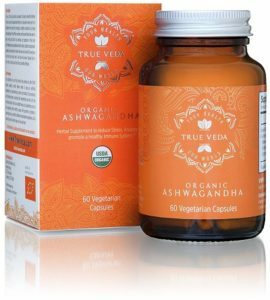 Many people are unable to stand the taste of ashwagandha powder, so capsules such as these beneficial as they are quick and easy to swallow. The product is free from additives, preservatives, gluten, wheat and other allergens. People taking this pill noticed a drop in tension within an hour of taking it. It aids in better sleep and many have actually lost a ton of weight with it. 60-year-old patients have even seen a drop in their blood pressure with these pills.